Do you wear dentures and want a more permanent alternative, or have you lost a tooth and don’t want to wear a partial denture or a bridge? 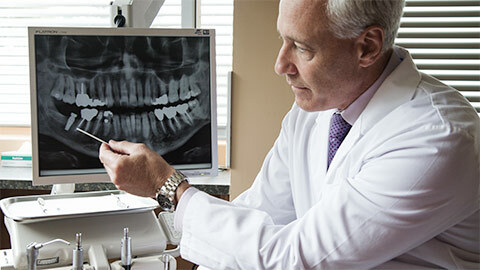 Dental implants may be a solution for you. 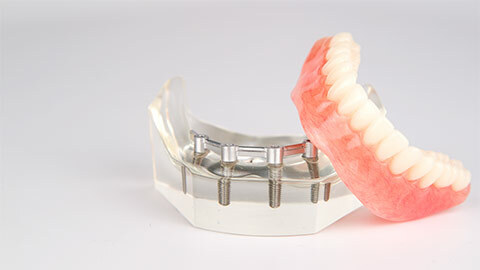 Implants provide a permanent foundation within your jaw for dentures and replacement teeth. At Gage Park Dental we provide dental implant consultations and placement services to the Hamilton community. A dental implant is an artificial tooth root, usually made from titanium, which is inserted into your jawbone to replace a lost root. Once an implant is placed, it can be used as a base for a crown to replace a missing tooth. Multiple implants can be used to support a permanently attached full or partial denture to replace multiple missing teeth. The actual implant process will vary depending on your needs, but the basic procedure begins with us drilling a hole in your jawbone and placing the implant. The area is closed over to allow healing and to allow your bone to integrate with the implant. Once the implant is strong enough, you will return to our office for a second procedure where we affix a special fixture called an abutment on the implant. The abutment allows us to attach crowns or dentures to the implant. Once your gums have healed and adjusted to the abutment, you will return to our office for a third and final visit and your replacement tooth or denture is attached to the abutment. Implants require the same cleaning and care as regular teeth, but with proper care they can last for a lifetime. If you’d like to learn more about dental implants, give our office a call today.